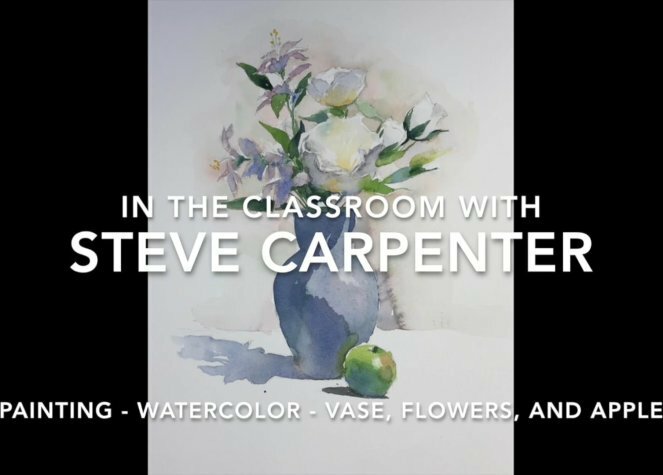 Steve begins with a pencil sketch which provides both detail and broad color and value forms. Compositional decisions are made and floral drawing techniques are explored. After the drawing each area is address with paint. All aspects of watercolor painting are explored from mixing paints to application techniques such as brushwork, building color, feathering, and dropping paint.